“Instead of trying to coat the world with leather, get yourself a pair of shoes”. I was reminded of this last night at my local Triratna Buddhist group. Nibbhaya, who was leading a discussion, said that he’s always been the sort of person who, when he needs some shoes, buys the first pair that he likes. I thought a bit and realised that I would normally find a nice pair early on, then traipse around the shops looking for something better before finally returning to the first pair. What a waste of energy, just to end up back where I was! Nowadays as my disability makes it hard for me to walk, I would probably settle for the first pair that I liked, saving myself a lot of time and energy – so there’s another “life improvement” my disability has offered me. Cars – I used to use up lots of energy trying to find the annoying rattle that’s a “feature” of every car, not to mention the stupidity of taking my attention from the road as I leaned across banging bits of dashboard to find just where it was. Work – Until recently I worked in a TV control room broadcasting live television. The slightest mistake and I would mentally beat myself up for days. Restaurants – I was the person that frantically looked around for the “best” table and, after sitting, would make the waiters day by asking to move just as the cutlery had been laid. Shoes – After spending hours and possibly several shopping trips finding the right pair, I’d wear them in the house for days to make sure they really were just right. The slightest discomfort and they’d be taken back. Photography – I can’t count the number of cameras I have bought and sold trying to find the one that’s “just right”. Relationships – Probably best not to go there. 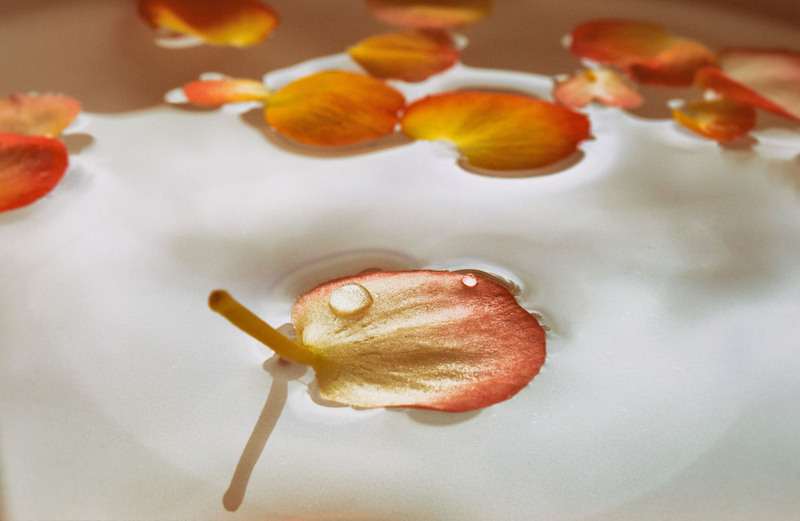 Buddhism – In 2000 I visited Birmingham’s Triratna (or FWBO as it was then) Buddhist center to learn how to meditate. The evening was led by a man called Vajragupta. It was very enjoyable and I went a few more times. Gradually though my perfectionist tendencies started noticing things I didn’t like; thus began a fourteen year search for the “perfect” Buddhist group. Of course, I’ve now realised there is no such thing as perfection. I’ve had lots of clues along the way showing me that this is just how life is, but it has taken that long to sink in and stop me from trying to cover the world with leather. I’m now a regular at the Triratna Buddhist group near to where I live. It’s often led by Vajragupta – the teacher who taught that first meditation session fourteen years ago in a different city. If only I’d just put on those shoes! 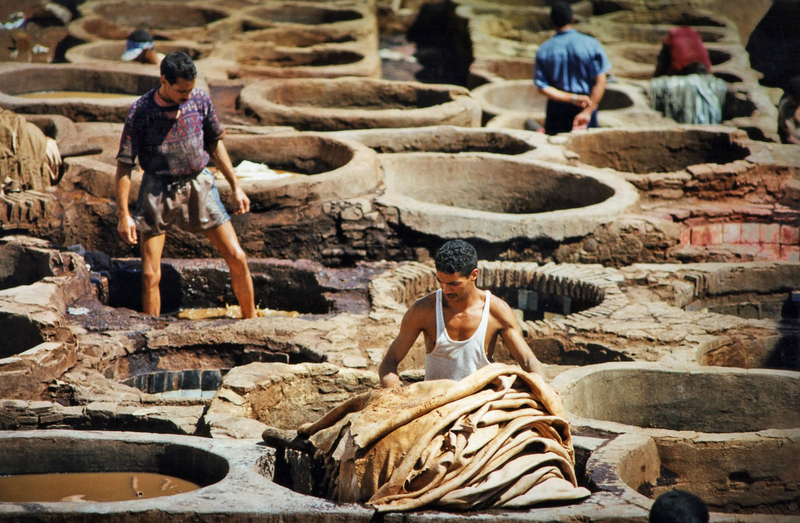 Leather tanning in Fez, Morocco (1997). This is the oldest leather tannery in the world.